Imagine oversized lots bordering wooded areas, sidewalks, lots of green space and a family-friendly atmosphere. 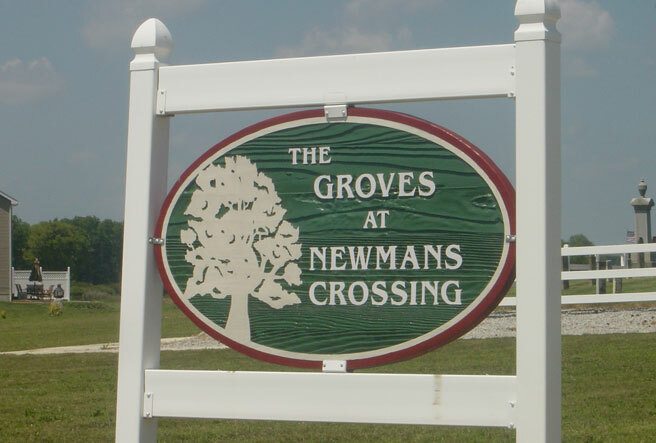 Welcome to The Groves at Newmans Crossing. Discover an exceptional neighborhood with spacious properties and quick access to S.R. 23. Conveniently located only minutes from Marion, Delaware and Polaris, The Groves at Newmans Crossing is close to shopping and outstanding schools – Pleasant Local. Enjoy country living with city conveniences in the prestigious Pleasant Township. Close to the Delaware State Park, home of the annual Marion Popcorn Festival and nearby Little Brown Jug horserace in Delaware – this community is ideal for professionals, growing families and empty nesters!